Dark, handsome — and that hair! It set some readers’ hearts aflutter. 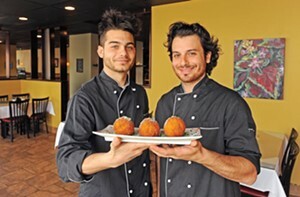 Our photo of the brothers Amato — Luca and Dario — is the most-requested repeat of a restaurant review photograph this year. 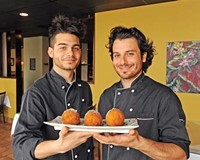 Sons of the owners, they can be found at Sapori Ristorante Italiano in Chester.